Menchie’s Frozen Yogurt has been going for nearly 15 years now, selling many different flavors of frozen yogurt and other items. To find out how to apply for Menchie’s Frozen Yogurt online and to see what job opportunities are available follow the link at the bottom of the page to start your Menchie’s application. The company was founded in 2007 by Adam and Danna Caldwell and the corporate headquarters are in Encino, California. The very first store opened in Los Angeles, California but there are now over 400 locations across the United States with international stores in Canada, Australia, Japan and Puerto Rico. Their mascot is also named Menchie. The stores have a wide range of flavors including regular, low fat and non-fat options. Flavors include Cookie Dough Monster, Crisp Irish Mint, Fresh Shredded Coconut, Going Bananas, Harvest Pumpkin, Key Lime Pie, Power Pomegranate Acai and The Apple of My Pie. You can add different toppings to the flavors like fresh fruit, nuts and sprinkles. The company has an employee of the month program, or rather a National Menchie of the Month program, who can be from any one of their locations. Nominations can be made by other employees or even customers. Winners get $100 Visa gift card, a congratulations letter, National Menchie of the Month certificate and a Menchie’s Smile Award. The most common Menchie’s jobs available are Team Members. These are ideal positions for people with little experience wanting to start off their careers in the food service industry. The most important attribute you’ll need is good interpersonal skills. There are also job opportunities for those with more experience in managerial positions. You may also be able to find Menchie’s jobs in the corporate side of the industry occasionally. If you have relevant experience and a college degree in the field you’re applying for you can send in applications to the departments of Administration, Finance and Accounting, Sales and Marketing amongst others. How old do you have to be to work at Menchie’s? You must be at least 18 years old or over to apply for jobs at Menchie’s. The benefits to Menchie’s careers will be different depending on which franchise location you are working at. Typical benefits for employees may include discounts on food, healthcare insurance packages and 401(k) retirement plans for eligible employees. There is also a monthly employee recognition program with rewards and incentives for those who win. The stores are open on Mondays to Thursdays from 11am to 10pm, on Fridays and Saturdays from 11am to 11pm and on Sundays from 12pm to 10pm. Team Member – The job description for a Team Member is mainly focused on serving customers. Team Member responsibilities will be to greet and serve customers with an enthusiastic and friendly manner. You will also need to put together their orders. The pay rate for this job is usually minimum wage of around $8 an hour. Shift Leader – Working as a Shift Leader you will need to be able to take over and run the store when the General Manager isn’t there. You need to ensure that staff are working as well as they can and keeping the customers happy. The expected pay is up to $10/hour. General Manager – The General Manager needs to be able to supervise everything that goes on in the stores. Your duties will include hiring and training new members of staff and ensuring the satisfaction of the customers who walk through the door. Managers will also need to handle administrative duties. The salary is $30k/year. District Manager – District Managers are responsible for a few different stores in a particular area and will need to make sure that every one of them is performing to the expected standard in terms of customer and staff satisfaction and financial performance. The salary is up to $47k a year. Once you’ve submitted your Menchie’s application, you can help yourself prepare for the interview by going over some typical questions you might be asked. Why do you want to work here? Do some research on the company first so that you can give a specific answer and help your career prospects. Make sure you’re ready for this question as it will probably be the first thing you’re asked. What is your biggest weakness? It can be hard to answer this question because you don’t want to be negative about yourself but the way to get around it is to describe what you have been doing to improve your flaws. How do you cope under pressure? This can be a fast-paced industry, and you may need to deal with multiple customers at once without getting too stressed. If you have any specific examples from your employment history that will help. Do you have any experience in customer service? You will be given all the necessary training but it always helps if you have previous employment experience. If not then say what skills you have that make you right for the job. How do you cope with conflicting priorities? Sometimes there may be times when you will need to deal with many different tasks at once and so you will need to figure out a good way to put them in order. 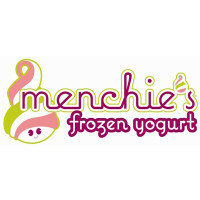 Search for Menchie’s jobs online and you can find the careers section of their website. You can apply online for team member, management and corporate positions by selecting the role you want and filling in their online application form. Alternatively you can pick up a free application at your local restaurant. You can also download a printable application for Menchie’s. If you want to make a direct application for a local restaurant you can go down there in person and request an application form from the manager. Take your resume with you and hand it in. It’s important to be well presented when you meet the manager for the first time to give off a good impression. After you’ve submitted your Menchie’s job application online you will probably only be expected to attend one interview for Team Member positions. For hourly positions interviews will most likely focus on your experience and your availability. For managerial and corporate jobs, interviews will be more in-depth to assess your level of expertise. Even if you’re looking for entry-level employment it’s important to prepare for the interview thoroughly. Keep a friendly and positive attitude when you talk to the interviewer; remember to smile and maintain eye contact. Sometimes you might need to follow up after your interview to check up on the status of your applications. Jamba Juice: For employment at Jamba Juice visit the application page. Robeks: For career opportunities, fill out the Robeks online application. Pinkberry: For employment at Pinkberry visit the application page. Yogurtland: Checkout the application page for work at Yogurtland. Orange Julius: Visit the Orange Julius application.